You can get the Fuji Quicksnap pretty much anywhere, but if you’re planning on picking up some on Ebay, use the following link. It helps me keep pumping out free articles and costs you nothing. Thanks!Get the Fuji Quicksnap on Amazon. 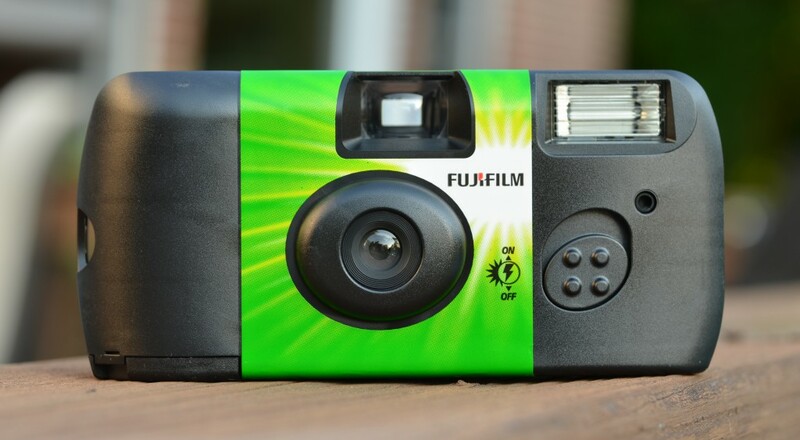 Find the Fuji Quicksnap camera on eBay! Remember these ol’ things? The cameras that used to populate the proms and homecoming dances of yesteryear? The ones that you or your parents used to always forget to develop and would pile up on the dining room table? Well, they’re still here. Although Walmart and many other stores no longer develop 35mm film, they still sell these things for some reason (I’m not complaining). The most common are the Fuji Quicksnap and the Kodak Funsaver. Now that 35mm is the providence of the artist rather than the average consumer, I’m reviewing this from the perspective of somebody using it as a creative tool, not as a practical camera. Think of the Fuji Quicksnap as a 35mm Holga that can only be used once. Personally, I love the effect one can achieve with these cameras, and I use them quite a bit in some of my fashion and portrait shoots. The results are quite unpredictable, as framing is loose and there’s no way to control exposure. Some shots won’t come out at all, others will completely surprise you. Much like the Holga, the Fuji Quicksnap lens is plastic and loaded with distortion. Pincushion distortion will make straight lines curved and distort human bodies and faces. Be careful if you’re doing relatively close shots of somebody, as they’ll look bloated or stretched. Also like the Holga’s lens, the edge of the frame will be blurry and clearly out of focus. 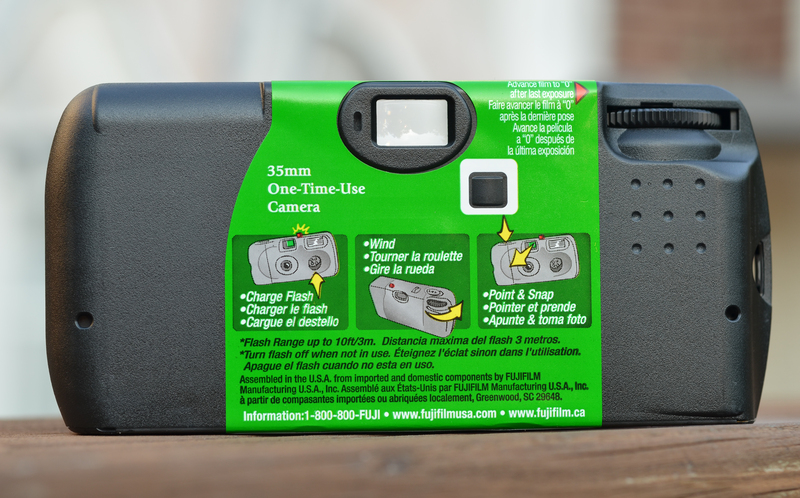 Autofocus and metering is notoriously inaccurate, which adds to the unpredictably of the Fuji Quicksnap. The depth of field is so huge that focus isn’t usually an issue unless the subject is close to the camera. The closer something gets, the more likely the camera will miss it completely. Metering is usually decent with the flash, and completely incompetent with it off. Be careful at night to always have the flash on or you’ll end up with a roll of black frames. The film is only ISO 400, so it can’t see in the dark. 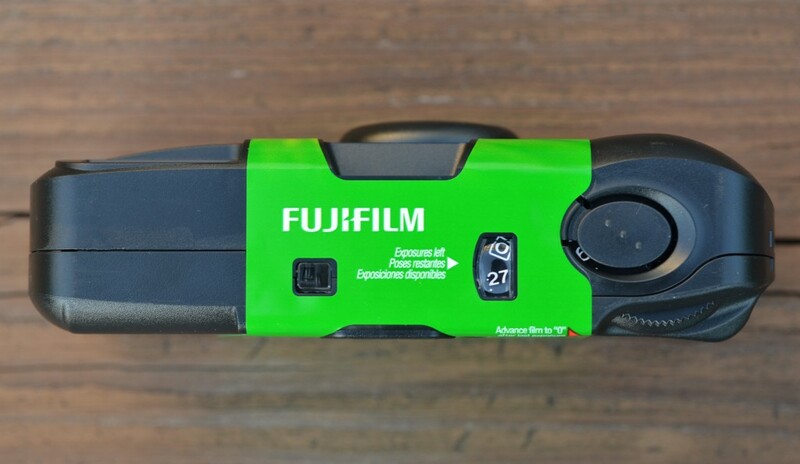 There are two versions of the Fuji Quicksnap that are currently floating around. The photos I have here show the most common one that’s currently in stores, which is also the newest version. It has a little slider that turns the flash on and off that works great. It also has a nice smooth plastic body that’s easy to hold. It’s bulky, but so are all 35mm disposables by today’s digital pocket camera standards. There is an older version of the Fuji Quicksnap that’s still out there that you might get on occasion. It has a much harder to use flash control; you have to hold down a button while you press the shutter or you flip the flash trigger forward. I’ve noticed the little flash button light often doesn’t work on these models, but that isn’t the biggest issue. This version of the camera is that the flash leaks into the viewfinder, which utterly blinds the shooter. That’s a bright light blasting straight into your eye. It takes a second or two to recover. Since I love this camera for it’s faults, I find the older version much more fun than the newer, more competent version. From what I can tell, both have the exact same lens and flash, so the actual quality of the photos themselves are equal. 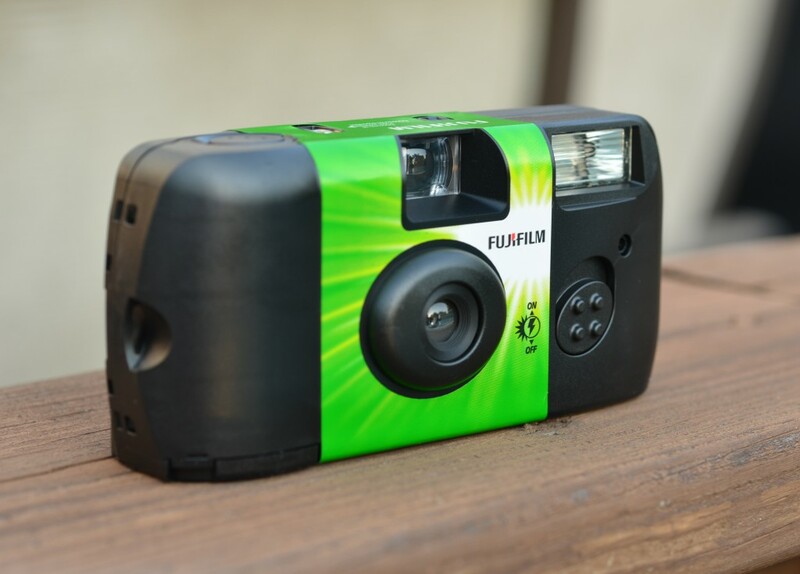 When I started playing with disposable cameras I did a comparison between the Fuji Quicksnap and the Kodak Funsaver, and I decided that I preferred the Fuji Quicksnap. The Quicksnap has 400 ISO compared to Kodak’s 800, so it has a bit more color. It also seemed like the Kodak Funsaver’s focus was a bit off more often than the Quicksnap’s, but otherwise they’re almost exactly the same. Those of you who like a little unpredictability in their photos and still work in the world of film can find a great artistic tool in these disposables. Like Polaroid, it can take an otherwise predictable subject and add its own spin. Also like Polaroid, it carries a certain ‘period’ look. Consumers used disposables to document everyday events for years, so anything shot on these cameras will be instantly ‘aged’. It’s always fun to take one of these cameras to a party, you’ll get all sorts of exciting and weird shots. Shooting these cameras can be surprisingly expensive. 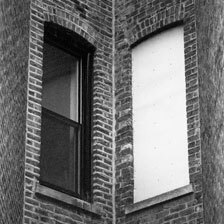 One camera usually costs at least 4 to 5 dollars, and development will cost another 8 at a Walgreens or someplace that still develops film. (UPDATE: These things have been skyrocketing in price recently, it’s not uncommon to see them going for over $10 apeice in the United States. It’s gotten bad. Demand for film is collapsing, so prices are going up for developing at the few places that still over those services. The scans I get from Walgreens are garbage, so I rescan photos I like with the Nikon Coolscan V. Depending on development, it can be cheaper to shoot on a cheap refillable 35mm camera or a Holga to get a similar effect. My gallery The Disposables is primarily shot on Fuji Quicksnaps, and I’ve found that I often do better work on these crummy cameras than I can do on my obscenely expensive digital equipment. Your choice of camera will never decide how good your work is, they’re simply different tools for different ends. Good luck and happy shooting! Get the Fuji Quicksnap on Amazon.